NEW DELHI: A historic bill for creation of an anti-graft ombudsman with Constitutional status was introduced in the Lok Sabha today amid objections by various parties to bringing the Prime Minister under its purview and making it mandatory for states to form Lokayuktas. The Lokpal and Lokayuktas Bill, 2011 was introduced along with a Constitutional (116th Amendment) Bill, even as several parties questioned the "haste" and asserted that Parliament should not allow itself to "succumb" to some individual threatening agitation, a reference to Anna Hazare. 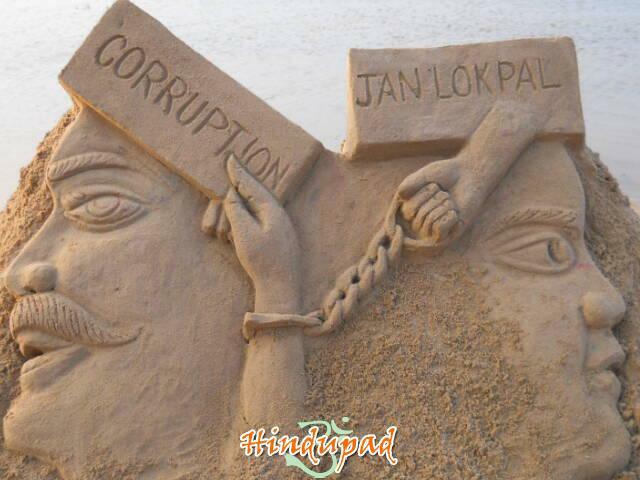 At the same time, the previous Lokpal Bill, 2011, introduced in August, was withdrawn. Rejecting the contention of "undue haste", the government declared that it was under "no duress" on the issue and it was for Parliamentarians to decide the fate of the Bill. "If you feel it is not necessary, we will not have it. Legislation is the domain of Parliament. It is not made on the 'dharna manch' or on the streets," Finance minister and Leader of the House Pranab Mukherjee said. Various parties, including BJP, Shiv Sena, RJD, AIMIM and AIADMK, opposed introduction of the bill in the current form and wanted the government to revise it. Parties like RJD, Samajwadi Party, AIMIM, AIADMK opposed bringing the Prime Minister under the purview of a body which would be "accountable to nobody". 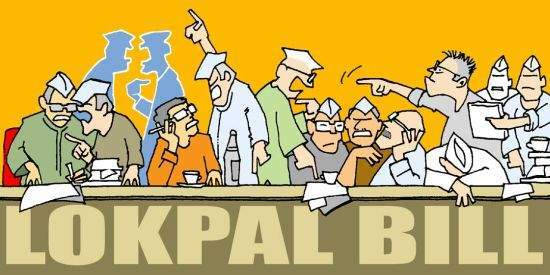 BJP, JD(U), BJD, AIADMK, DMK and CPI(M) objected to a provision in the Lokpal Bill, claiming that it made it "mandatory" for states to set up Lokayuktas and was an "attack" on the federal structure. Reiterating that the Lokpal bill is "weak", social activist Anna Hazare said that it will not eradicate corruption and reissued his threat of a "jail bharo" agitation next week. Speaking to reporters at his home village in Parner taluka (sub-district) of Ahmednagar district, he also repeated his threat to stage a sit-in and court arrest outside Congress president Sonia Gandhi's residence in New Delhi. Hazare said the poor in the country are the worst affected by corruption and that the bill tabled will in no way help eradicate corruption at the ground level. He also questioned the government on the contentious issue of Central Bureau of Investigation (CBI) asking: "Why is it afraid of bringing the investigating agency within the ambit of the Lokpal?" Hazare earlier Thursday called the bill "useless". "Unless you bring the CBI within the ambit of the Lokpal, it will serve no purpose," he reiterated. Stating that he would go on a three-day hunger strike from Dec 27-29 in Mumbai, Hazare renewed his threat of launching a "jail bharo" agitation. "My 'jail bharo' protest will be outside the residence of Sonia Gandhi and Rahul Gandhi," he said. Condemning the government, Hazare said it lacked the will power to curb rampant corruption in the country. He urged the people not to vote for those who have opposed the Jan Lokpal bill. "The whole exercise of drafting the anti-graft bill was a useless effort," Hazare said.